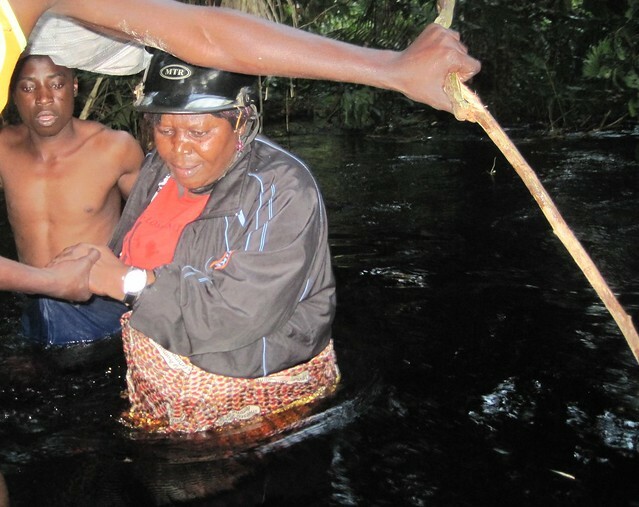 « Ebola Empties Villages, Bushmeat Empties Forests. The chief of the bangengele doing outreach for the park before we put in bridges. Her house, too, went up in flames. See below. Arsonists burned three of our base camps in just over a year. The first conflagration was Lohumonoko, It was set on fire in February 2014. Most staff were in the forest, but the three men in camp, Fiston, Shindano and Reddy, were beaten and tortured throughout the night. We sent an investigation. We knew the perpetrators. But there was no follow-up. The local military were corrupt and the rebels had disappeared back into the forest. We were not the only victims. 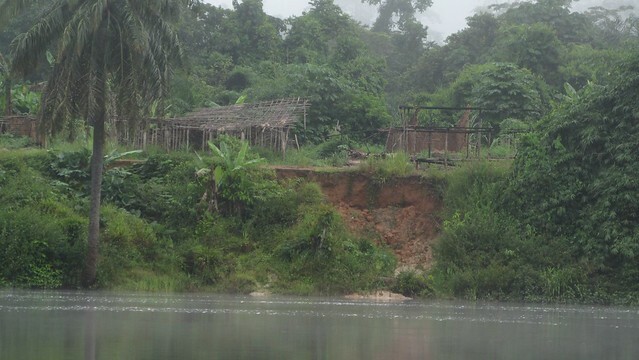 The rebels burned several other houses at Lohumonoko, shot and killed a young boy, and burned three villages along the Lomami River. One of three villages burned along the Lomami: Chekecheke, Ongwaina and Masasi. — there are not enough forces for order (police, military.. etc). — the potential order-keepers do not have enough state money to act. — the order-keepers are easily corrupted by the criminals. All are probably true, but of varying importance in different places at different times. The second camp to burn was Oluo — this year, on the 13th of April. 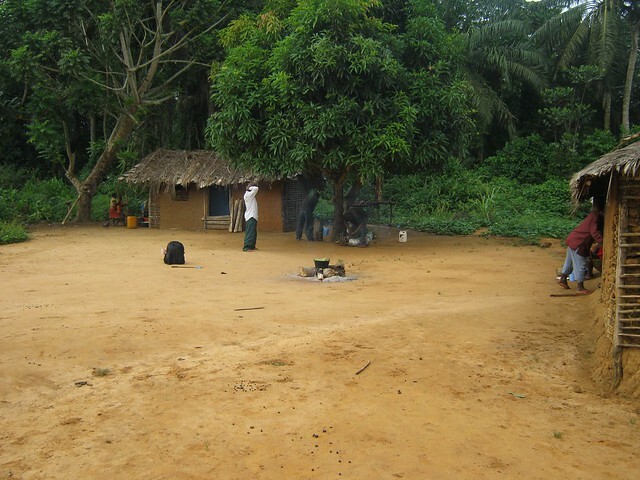 The village of Oluo is only 5km from the park border and frequented by meat-buyers and non-local hunters. We thought we could resolve the arson case through the justice system. I am still not sure what went wrong. Our camp at Oluo village was burned down. The story I received is that poachers based at the village of Oluo were stopped by one of our patrols in the park and their meat was burned. 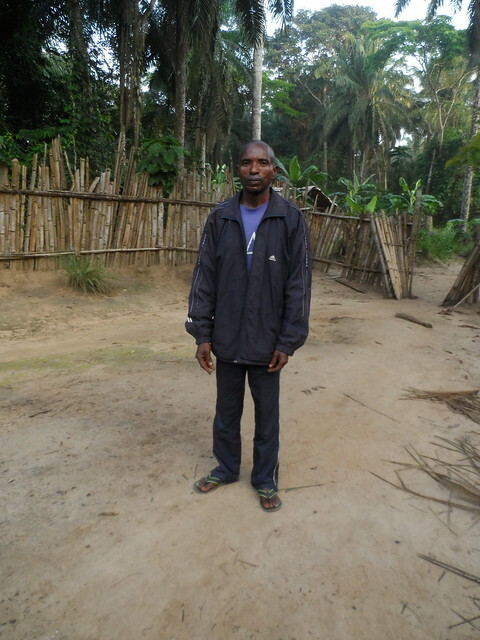 The main poacher, Sele, managed to flee, but his porters came back to Oluo and told the story. The lead poacher’s relative, Kamba, said Sele had not returned so he must have been killed by the TL2 patrol. He took a torch to our camp at night. The camp guard, Kashinde, knew who was responsible because Kamba warned Kashinde. He said “leave or suffer the consequences.” Kashinde left and the camp went up in flames. Sele, himself, returned to Oluo the next day — unharmed. Later, before the judges, Kashinde denied that he saw Kamba. Kamba was let go. Not very satisfactory. 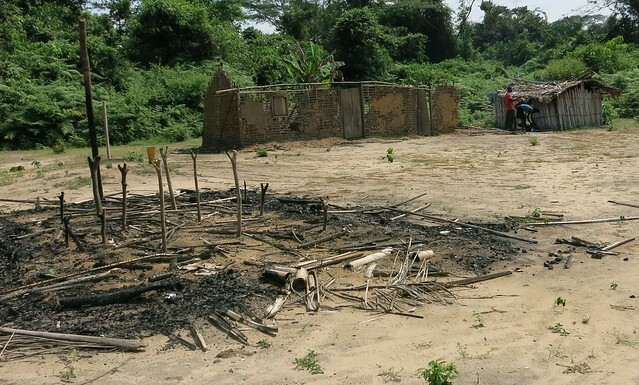 The most recent arson, a month later on May 5th was our base camp at Bafundo. This time we reacted immediately. 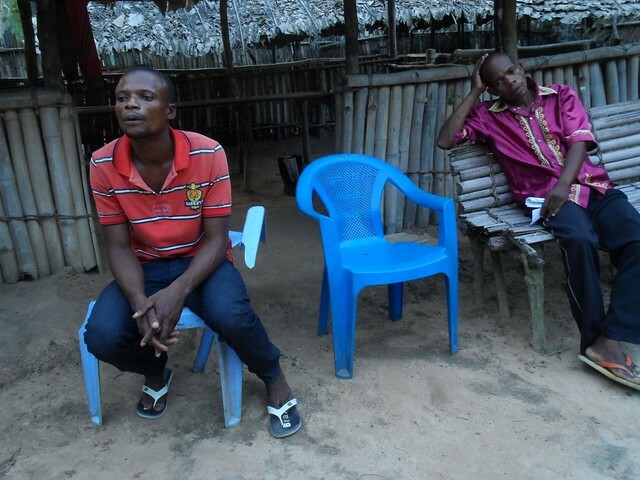 Matthieu and Leon, TL2 leaders based in Kindu, went with Major Salumu and representatives of the undercover police. The delegation on its way to Bafundo. We facilitated everyones movement including the military. We asked for ten military, but more than 50 were sent because rumors circulated that Colonel Thoms himself was coming to Bafundo. 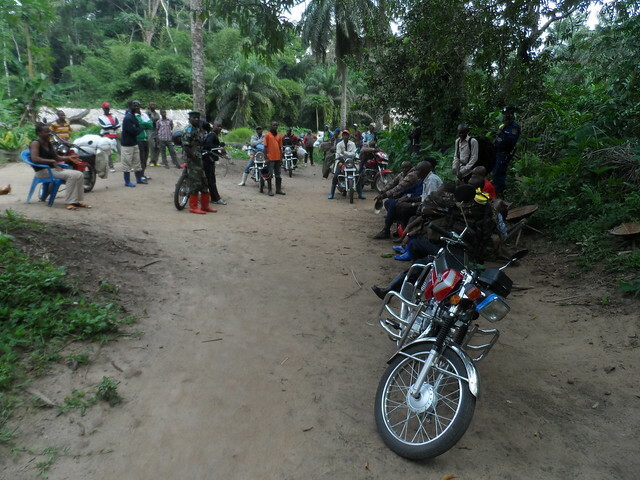 The major briefing his troops in Bafundo. The population was relieved to see the military; if the military were harsh, Thoms would be harsher. The villagers wanted to make it clear that they were not involved in the burning. Some had the courage to stand up against it: the local nurse rescued TL2’s small generator and kept it in his house despite threats. The local nurse who hid our generator from the arsonists. The chiefs from the two sister villages, Likanjo and Bafundo, accused the same persons. The main arsonist, older brother of Colonel Thoms from the west bank Balanga, had the temerity to speak openly of his plan before lighting the fire. Vincent, the main arsonist, on the right and one of his followers. In fact his whole arson gang was from the west bank of the Lomami (more than 40km to the west, on the other side of the park). The west bank, or Balanga-West, is the most isolated area in the bufferzone without even bicycles, functioning schools or clinics. One of colonel Thoms’s younger brothers (orange shirt) in photo of west bank outreach in a village near where Thoms was born. 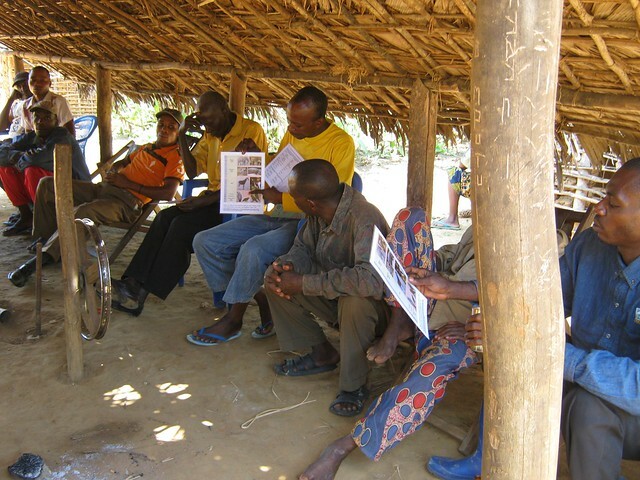 Soon a large group from Bafundo was helping us rebuild our camp. The military started to accompany our park patrols and the non-local hunters fled. These were mainly people from another province (Tetela and Djonga) and they fled mainly to Oluo, site of the previous arson. 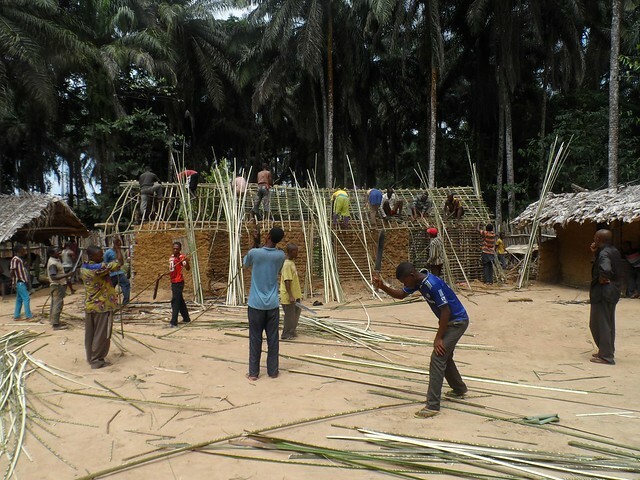 Villagers help rebuild our camp in Bafundo. 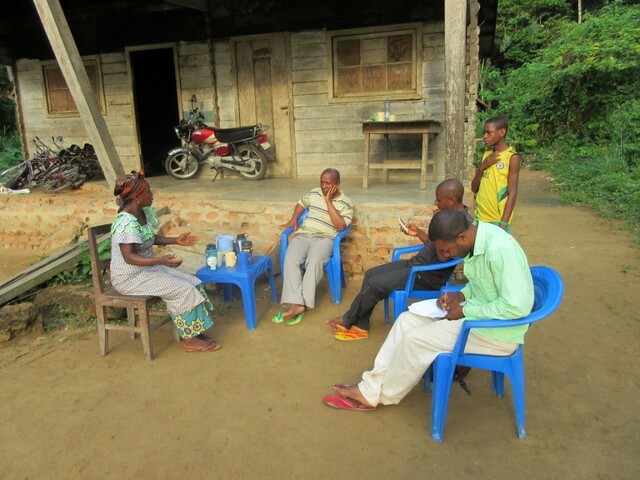 We found out about the influx of poachers to Oluo when our outreach team was not allowed into the village. Maurice sent the alarm and this time we reacted and so did the military. Maurice, center in striped shirt in Kimiakimia. Twelve military went to Oluo and started accompanying our patrols. Already Slyvester, the team leader, says relations were improved with the local population when he returned from the forest. 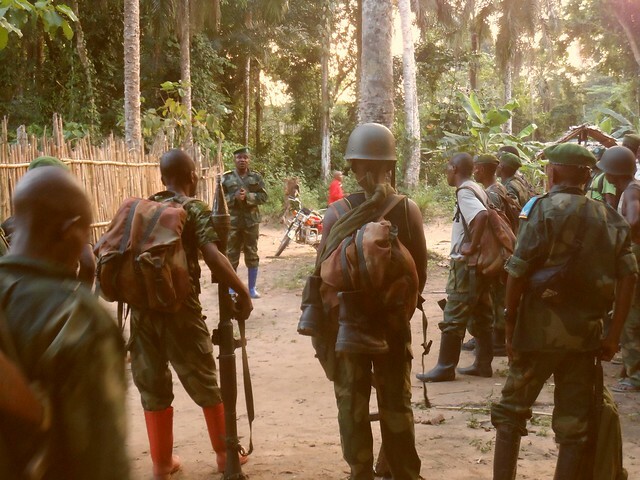 Matthieu, Major Salumu and I arrived with 12 military in Oluo on May 22nd. We are not the only victims of arson. It seems to be the favored criminal attack on authority. I was just informed yesterday that the house of the traditional chief of the entire Bangengele chefferie (see first photo above) went up in flames. The fire was set by Tetela from outside the chefferie angry at the chief because she was trying to control their deforestation. 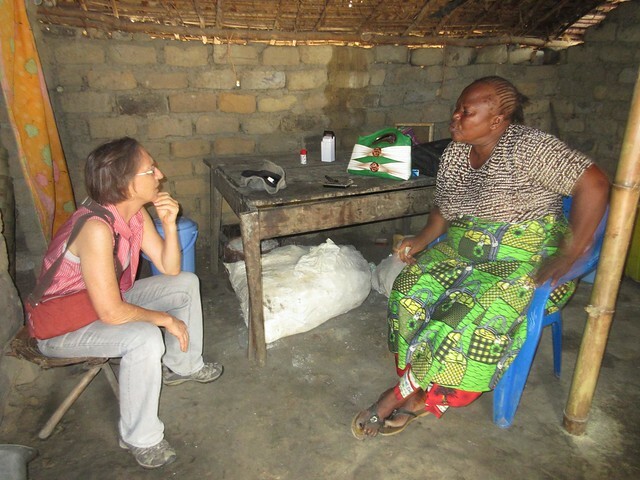 The Tetela are major fabricators of charcoal to sell in Kindu. 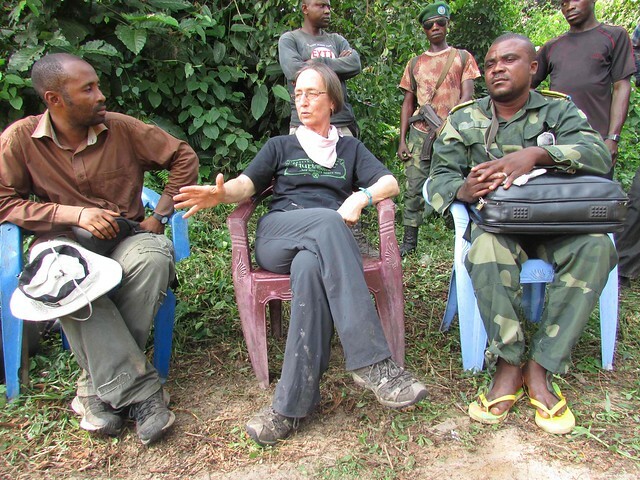 In some cases, the protection of Natural Resources needs fire-power, both along the Lomami and throughout the D.R.Congo. 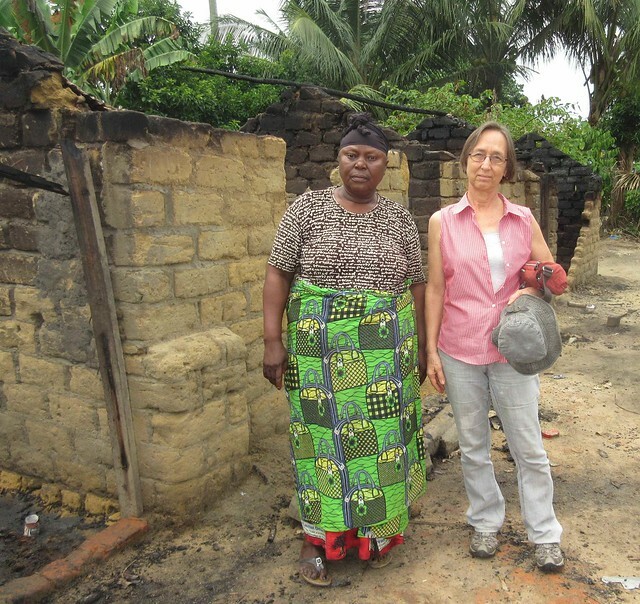 Her guest rooms, behind her house, burned — gone the roof and everything inside. 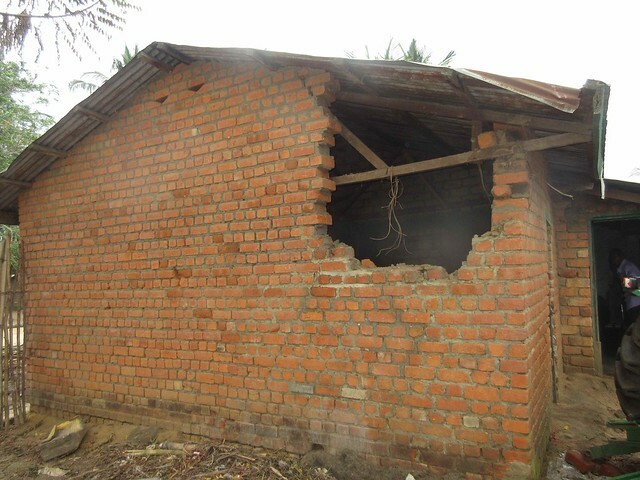 The Tetela knocked a hole in the wall, threw in fuel and set it alight — everything burned. She is now receiving people in a small back storage area. This entry was written by Terese Hart, posted on 2015-06-02 at 7:14 pm, filed under Bushmeat, Law and Order. Bookmark the permalink. Follow any comments here with the RSS feed for this post. Trackbacks are closed, but you can post a comment. DRC is a hell of a mess, from the Bas-Congo to the Nord-Kivu. But I do know that you have the spirit and the diplomacy skills to cope with all these problems. Smoothly and tenderly you will solve all the problems, one by one. And within a couple of months, all these troubled times will be over.